Glucosamine is a substance the body makes. It is found in the fluid around our joints, where it helps build cartilage. It is also found in shellfish, fungi, animal bones and bone marrow. Supplements are also made with natural ingredients or in a laboratory. 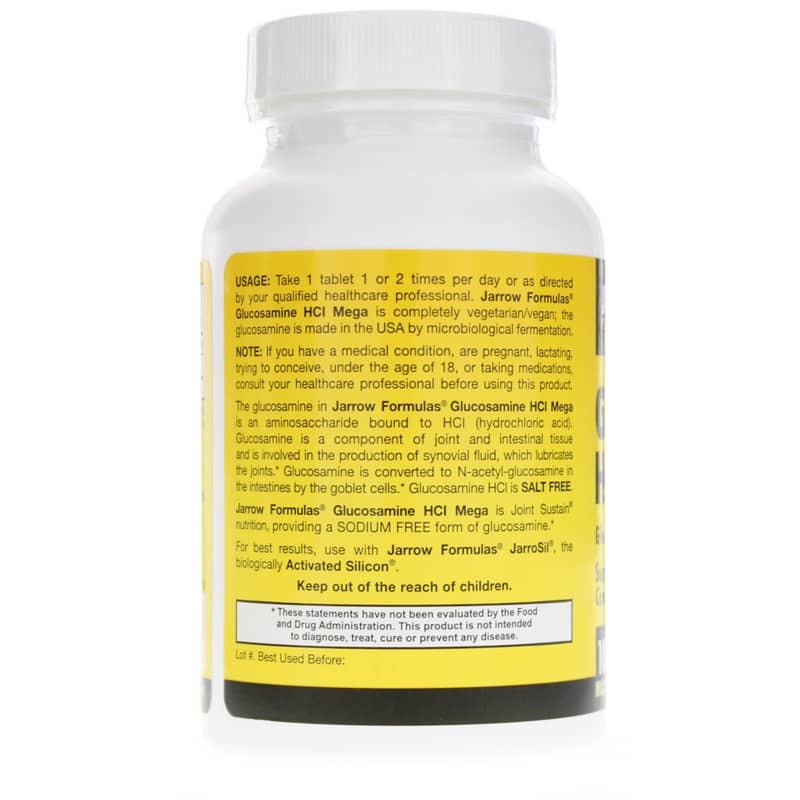 People supplement with glucosamine because levels decrease with age. It is especially popular with those suffering from joint pain, swelling and irritation. 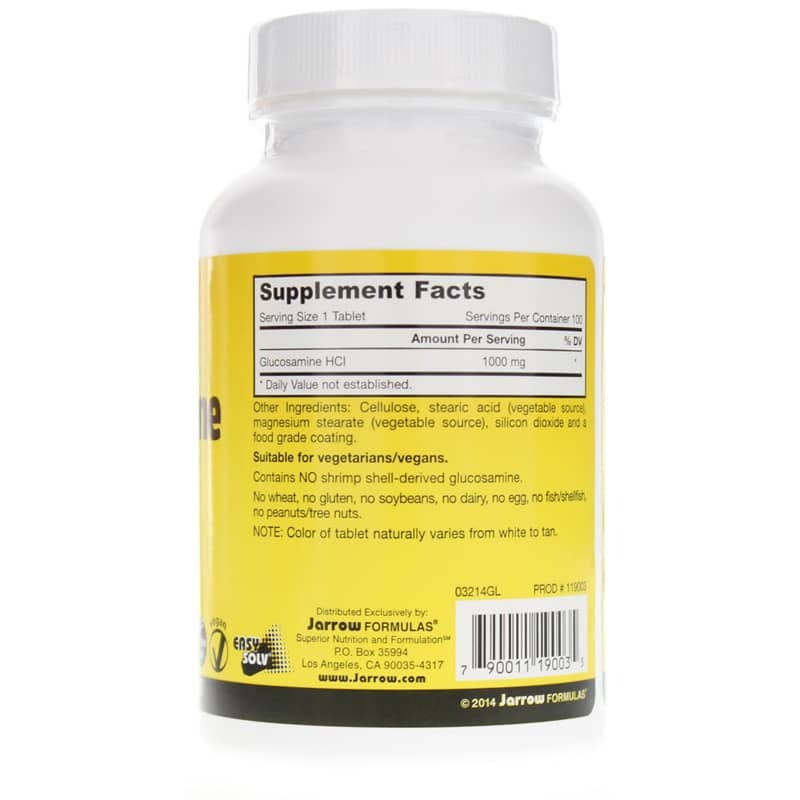 Jarrow Formulas offers a natural supplement called Glucosamine HCl Mega 1000mg that supports healthy joints and connective tissue. This supplement is free of wheat, gluten, soybeans, dairy, egg, fish, shellfish, peanuts and tree nuts. It is made in the USA through a process of microbiological fermentation. 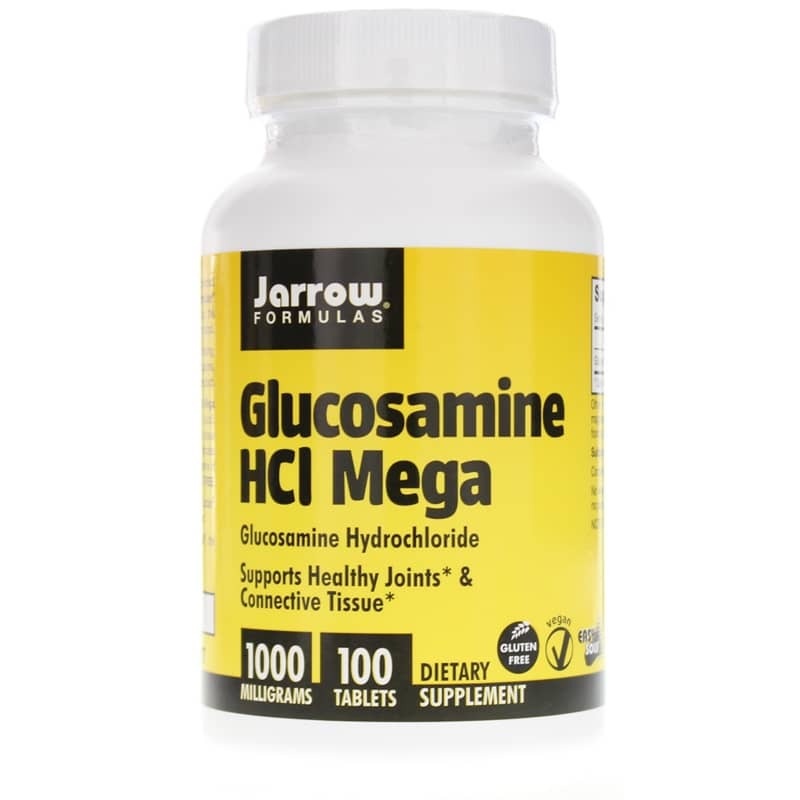 If you're looking for a natural supplement that supports healthy joints and connective tissue, check into Jarrow Formulas' Glucosamine HCl Mega. Order online today! Contains NO: shrimp shell-derived glucosamine. NO wheat, gluten, soybeans, dairy, egg, fish/shellfish, peanuts or tree nuts. Suitable for vegetarians/vegans. Adults: Take 1 tablet 1 or 2 times per day or as recommended by a healthcare professional. For best results, use with Jarrow Formulas JarroSil, the biologically Activated Silicon. If you are pregnant, trying to get pregnant, nursing, taking medications or have a medical condition, please consult your healthcare practitioner before taking any dietary supplement. Keep out of the reach of children.